Beans - a genus of plants Bean family. Homeland beans - India, South and Central America. Currently beans are grown all over the world. There are about 200 species of beans, one of the varieties of beans is white beans. 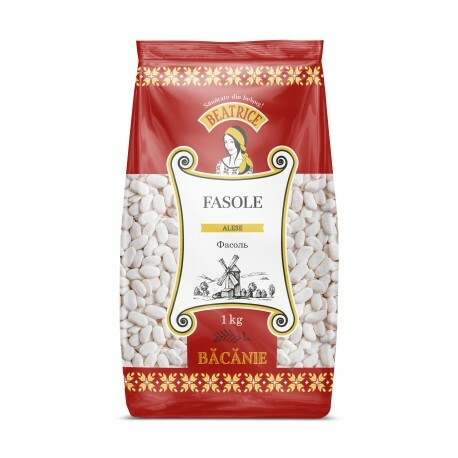 Calorie white beans is 102 kcal per 100 grams of product. White beans contain calcium and magnesium, components that complement each other, who care about making our teeth and bones strong. According to the content of copper and zinc, beans superior to most vegetables. The protein of beans is easy to digest and contains amino acids, like tryptophan, lysine, arginine, tyrosine, methionine. Beans are used in diabetes, rheumatism, chronic pancreatitis, nephrolithiasis, ulcers and eczema, as well as a diuretic. Beans has a hypoglycemic, diuretic and antimicrobial action. Beans are recommended to eat people suffering gastritis with low acidity. Because it contains high amounts of potassium (530 mg per 100 grams of grain) is prescribed in diseases like atherosclerosis and heart rhythm disturbances. Glucose-lowering effect of beans associated with arginine - insulin-like substance.